It is advisable that once in a while you do a hard reset to get rid of all those endless errors and pending tasks in order to get the device to respond to commands as it used to. Factory resetting your Dell Streak 5 might be the best method to make it work properly again. It is as well useful when you need to sell or loan your device and you want to erase all the personal information. Please note that resetting this tablet will restore the default factory settings and erase all saved data so you better do a backup first. Released in June 2010, The Streak 5 had the features of a high-end phablet at that time. 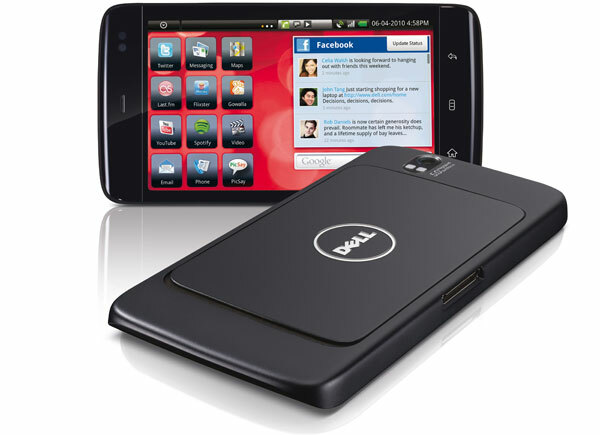 The Dell Streak 5 tablet offers single-core processing, Adobe Flash support, front and rear cameras and can run Android 2.2 Froyo, even though it was originally served with Android 1.6 Donut. However, the screen quality is not as we would expect it to be since it sports a WVGA (800 x 480) resolution. The phone includes features such as 802.11 b/g Wi-Fi, GPS, and Bluetooth audio and data connections. Press and hold the power button and then touch the Power off option on the screen to turn off the device. Once the device has been shut down, press and hold the volume up button and the power button at the same time, until the device presents the configuration screen. Next, press the volume up button or the volume down button to move the highlight bar on the screen to the Factory Reset option. Press the Camera button to start the reset process and wait for the device to restart.